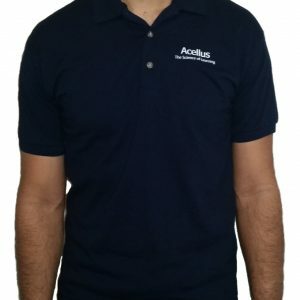 BY ACCEPTING DELIVERY OF THE PRODUCT AND SERVICES DESCRIBED IN ACELLUS’ INVOICE OR OTHER ACELLUS DOCUMENTATION, CUSTOMER AGREES TO BE BOUND BY AND ACCEPTS THESE TERMS AND CONDITIONS OF SALE UNLESS CUSTOMER AND ACELLUS HAVE SIGNED A SEPARATE AGREEMENT, IN WHICH CASE THE SEPARATE AGREEMENT WILL GOVERN. These terms and conditions of sale constitute a binding contract between Customer and Acellus. Customer accepts these terms and conditions of sale by making a purchase, placing an order or otherwise shopping on Acellus’ Website (the “Site”). These terms and conditions of sale are subject to change without prior notice, except that the terms and conditions of sale posted on the Site at the time Customer initially places an order will govern the order in question. These terms and conditions of sale constitute the entire agreement between Customer and Acellus relating to the terms and conditions of sale of product and services on the Site. Customer consents to receiving electronic records, which may be provided via a Web browser or e-mail application connected to the Internet; individual consumers may withdraw consent to receiving electronic records or have the record provided in non-electronic form by contacting Acellus at the address provided below. Customer may issue a purchase order for administrative purposes only. Additional or different terms and conditions contained in any such purchase order will be null and void. Customer agrees that the terms and conditions of sale contained herein and in Acellus’ invoice or other documentation will control. No course of prior dealings between the parties and no usage of trade will be relevant to determine the meaning of these terms and conditions of sale or any purchase order or invoice related thereto. Orders are not binding upon Acellus until accepted by Acellus. Terms of payment are within Acellus’ sole discretion. Invoices are due and payable within the time period specified on the invoice, measured from the date of invoice. Acellus may invoice parts of an order separately. Customer agrees to pay interest on all past-due sums at the lower of one and one-half percent (1 1/2%) per month or the highest rate allowed by law. Customer is responsible for, and will indemnify and hold Acellus harmless from, any applicable sales, use or other taxes or federal, state or local fees or assessments associated with the order. Customer must claim any exemption from such taxes, fees or assessments at the time of purchase and provide the necessary supporting documentation. Any sales, use or other applicable tax or fees or assessments is based on the location to which the order is shipped. In the event of a payment default, Customer will be responsible for all of Acellus’ costs of collection, including court costs, filing fees and attorney’s fees. All pricing is subject to change. Acellus reserves the right to make adjustments to pricing, product and service offerings for reasons including, but not limited to, changing market conditions, product discontinuation, product unavailability, and errors in advertisements. All orders are subject to product availability. Therefore, Acellus cannot guarantee that it will be able to fulfill Customer’s orders. Title to product and risk of loss or damage during shipment passes from Acellus to Customer upon shipment from Acellus’ facility, commencing with the placement of the products in the custody of a carrier or shipping agent. Title to software will remain with the applicable licensor(s). Acellus retains a security interest in the product until payment in full is received. Customer will be responsible for all shipping and related charges. Acellus shall provide reasonable assistance to Customer in connection with any claims against carriers. If Customer receives damaged product, such damage should be noted on the carrier delivery record. Please save the product with the original box and packaging, and notify Acellus immediately to arrange for a carrier inspection and a pick-up of damaged product. 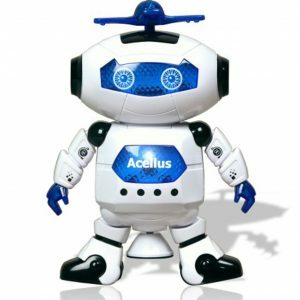 Please notify Acellus Technical Support of damaged product WITHIN THE FIRST 10 DAYS of receipt by email at acellus_order@acellus.com or by calling (888) 220-4020. Timely receipt of this information is necessary for Acellus to file a damage claim. Acellus warrants to the original owner that the equipment will be free from defects in material and workmanship for one (1) year. Acellus does not warrant that the operation of the equipment will be uninterrupted or error free. This warranty does not apply if the equipment is damaged (including damage caused during shipping or installation) or is subjected to abnormal physical or electrical stress. 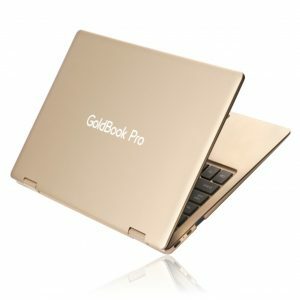 This warranty expressly excludes problems arising due to compatibility with other vendors’ equipment, or future compatibility due to third party software or driver updates. This warranty does not cover replacement of equipment damaged by abuse, accident, misuse, neglect, alteration, repair, disaster, power surges, improper installation or improper testing. If the equipment is found to be otherwise defective, Acellus, at its option, will replace or repair the equipment at no charge except as set forth below, provided that you deliver the equipment along with a Return Material Authorization (RMA) number to Acellus. If you ship the equipment, you must assume the risk of damage or loss in transit. You must use the original container (or the equivalent) and pay the shipping charge. Acellus’ obligations hereunder are conditioned upon return of the equipment in accordance with Acellus’ Return procedures. Acellus may replace or repair the equipment with either new or remanufactured equipment or parts, and the returned equipment becomes Acellus’ property. Acellus reserves the right to replace discontinued equipment with equivalent current generation equipment. Acellus may elect, at its sole discretion, to refund your purchase price, instead of repairing or replacing the equipment. Acellus Corporation shall not be responsible for any software, firmware, information, or memory data of yours, which is contained in, stored on, or integrated with any equipment returned to Acellus pursuant to this warranty. The above warranty DOES NOT apply to any beta equipment; any equipment made available for testing or demonstration purposes; any equipment for which Acellus does not receive remuneration; or any equipment for which the product description states that there is no warranty. All such equipment is provided AS IS without any warranty whatsoever. Critical Control Applications: Acellus specifically disclaims liability for use of the equipment and software in critical control applications (including, for example only, safety or health care control systems, nuclear energy control systems, or air or ground traffic control systems), and such use is entirely at the user’s risk. Customer agrees to defend, indemnify, and hold Acellus harmless from and against any and all claims arising out of use of the equipment or software in such applications. Software: As a service to our Customers, Acellus may provide Software which can be used with the equipment. The use of the provided software with other manufacturers’ equipment is specifically prohibited. ALL SUCH SOFTWARE IS PROVIDED ON AN “AS IS”, “AS AVAILABLE” BASIS. ACELLUS HEREBY EXPRESSLY DISCLAIMS ALL WARRANTIES EITHER EXPRESS OR IMPLIED, RELATED TO THE SOFTWARE THUS PROVIDED, INCLUDING, WITHOUT LIMITATION, ANY WARRANTY OF NON-INFRINGEMENT OF INTELLECTUAL PROPERTY, MERCHANTABILITY, FITNESS FOR A PARTICULAR PURPOSE, OR ANY WARRANTY ARISING OUT OF ANY PROPOSAL, SPECIFICATION, SAMPLE OR OTHERWISE. ACELLUS DOES NOT WARRANT THE ACCURACY OR RELIABILITY OF ANY OF THE SOFTWARE. YOU ACKNOWLEDGE THAT ANY RELIANCE UPON SUCH SOFTWARE SHALL BE AT YOUR SOLE RISK. ACELLUS RESERVES THE RIGHT, IN ITS SOLE DISCRETION, TO CORRECT ANY ERRORS OR OMISSIONS IN THE SOFTWARE. ACELLUS SHALL HAVE NO LIABILITY FOR ANY INDIRECT OR SPECULATIVE DAMAGES (INCLUDING, WITHOUT LIMITING THE FOREGOING, CONSEQUENTIAL, INCIDENTAL, AND SPECIAL DAMAGES) ARISING FROM THE USE OF OR INABILITY TO USE THE EQUIPMENT OR SOFTWARE, WHETHER ARISING OUT OF CONTRACT, NEGLIGENCE, TORT, OR UNDER ANY WARRANTY, IRRESPECTIVE OF WHETHER ACELLUS HAS ADVANCE NOTICE OF THE POSSIBILITY OF ANY SUCH DAMAGES, INCLUDING, BUT NOT LIMITED TO LOSS OF USE, INFRINGEMENT OF INTELLECTUAL PROPERTY, BUSINESS INTERRUPTIONS, AND LOSS OF PROFITS. ACELLUS SHALL HAVE NO LIABILITY FOR EQUIPMENT NOT BEING AVAILABLE FOR USE OR FOR LOST OR CORRUPTED DATA OR SOFTWARE. NOTWITHSTANDING THE FOREGOING, ACELLUS’ TOTAL LIABILITY FOR ALL CLAIMS UNDER THIS AGREEMENT SHALL NOT EXCEED THE PRICE PAID FOR THE EQUIPMENT OR SOFTWARE. THESE LIMITATIONS ON POTENTIAL LIABILITIES WERE AN ESSENTIAL ELEMENT IN SETTING THE PRICE. ACELLUS NEITHER ASSUMES NOR AUTHORIZES ANYONE TO ASSUME FOR IT ANY OTHER LIABILITIES. Before returning any equipment, please contact Acellus Support by calling (888) 220-4020 or (816) 220-3000 or by email at acellus_order@acellus.com, to obtain a Return Merchandise Authorization (RMA). This will help ensure the proper action or credit upon processing. Acellus cannot accept any returned equipment without an RMA number on the package. Products sold by Acellus are subject to an industry standard restocking fee of 15%, if returned within 30 days of receipt. Products to be returned must be in like-new condition. No damaged or incomplete product may be returned for refund. No returns will be accepted after 30 days. Product that has been in the Customer’s possession for more than 30 days is not considered to be in like-new condition, even if the Customer has never used it. Customer is responsible for shipping charges to Acellus for all products being shipped for return, exchange or replacement. The return shipping address will be provided to you with the RMA number. Customer is responsible for all risk of loss and damage to product being shipped for return, exchange or replacement. Please fully insure return shipment in case of loss or damage. Please use a carrier that is able to provide you with proof of delivery such as UPS, Federal Express or Airborne Express. This is for your protection as well as to ensure quick action on your return. 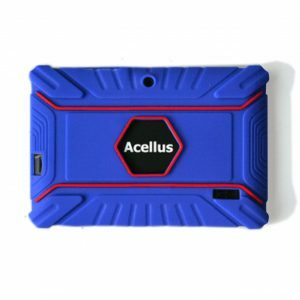 For products that are under warranty and shipped within the Continental US, Acellus will ship the replacement unit to Customer by a standard ground shipping method at Acellus’ expense. For expedited shipping or shipments out of the Continental US, Customer will be responsible for the shipping charge. The failure to enforce any provision of these Terms and Conditions of Sale shall not be construed as a waiver of any such provisions nor prevent Acellus thereafter from enforcing the provision or any other provisions of these Terms and Conditions of Sale. Any claim, dispute, or controversy (whether in contract, tort or otherwise, whether preexisting, present or future, and including statutory, common law, intentional tort and equitable claims) arising from or relating to the product or services sold pursuant to these terms and conditions of sale, the interpretation or application of these terms and conditions of sale or the breach, termination or validity thereof, the relationships which result from these terms and conditions of sale (including, to the full extent permitted by applicable law, relationships with third parties who are not signatories hereto), or Acellus’ advertising and marketing (collectively, a “Claim”) arising hereunder that cannot be settled amicably by the parties shall be settled by arbitration (the “Arbitration”) in accordance with the rules of the American Arbitration Association, then in force. The Arbitration shall be governed by the following rules: a) The Arbitration hearings shall be held in Kansas City, Missouri; b) The dispute shall be heard and determined by a single arbitrator (the “Arbitrator”) who shall be selected by agreement of both parties hereto; c) Each party will bear its own cost of any legal representation, discovery or research required to complete arbitration; d) The Arbitrator shall make his or her award in writing within two (2) months of the start of the Arbitration – or within such time-period as agreed to in writing by the parties hereto; e) The Arbitrator shall have the authority to award costs to whichever party he or she deems appropriate; and f) The decision of the Arbitrator shall be final, conclusive, and binding upon the parties hereto. Once arbitration has been chosen by any party with respect to a Claim, neither Acellus nor Customer will have the right to litigate that Claim in court or to have a jury trial on that Claim or to engage in pre-arbitration discovery, except as provided for in the applicable arbitration rules or by agreement of the parties. Further, Customer will not have the right to participate as a representative or member of any class of claimants pertaining to any Claim. Notwithstanding any choice of law provision included in these terms and conditions of sale, this arbitration agreement is subject to the Federal Arbitration Act (9 U.S.C. §§ 1-16). Any court having jurisdiction may enter judgment on the award rendered by the arbitrator(s). The existence or results of any arbitration will be treated as confidential. Notwithstanding anything to the contrary contained herein, all matters pertaining to the collection of amounts due to Acellus arising out of sales hereunder may be litigated in court rather than through arbitration.